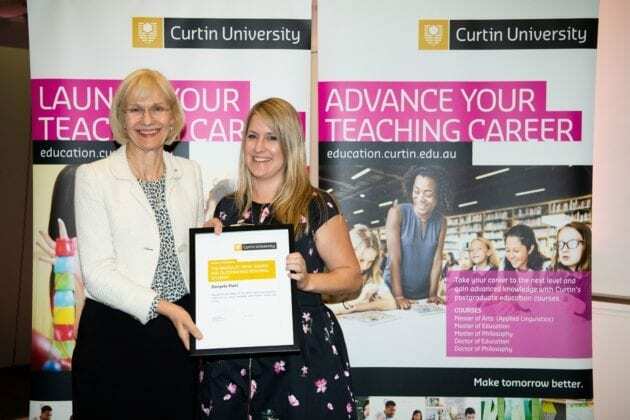 Recent graduates from Curtin University’s School of Education have been recognised for their academic achievements and commitment to the field of teaching at the School’s annual awards ceremony. Mrs Payne (R) and Curtin University Vice-Chancellor Professor Deborah Terry (L) at Curtin University’s School of Education Awards night. 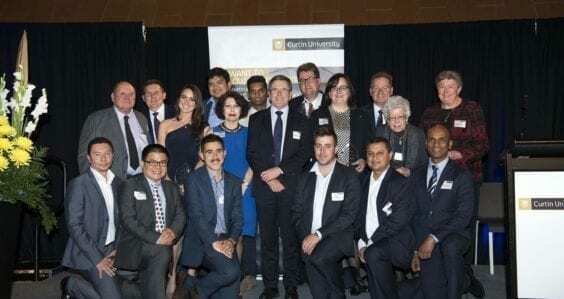 This year 19 students from the undergraduate and postgraduate programs were recognised across a range of awards sponsored by industry partners and fellow educators. 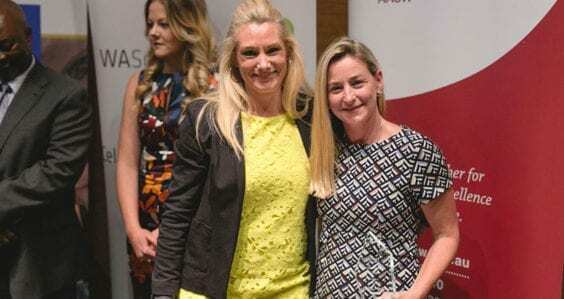 Dr Karen Murcia, Acting Head of School of Education at Curtin University, said the annual award ceremony showcases the outstanding achievements of recent passionate and dedicated graduates. “We set high expectations for our Curtin School of Education students and these award winning graduates have risen to the call for educational excellence,” Dr Murcia said. Mrs Danyela Payne, the recipient of this year’s Broadley SPERA Award for Outstanding Regional Student, is one example of such inspirational individuals. Mrs Payne completed her entire Bachelor of Education degree online while living and working in Geraldton. “After experiencing a family tragedy in 2010, I stopped and reflected on my life and where my passions lay. I felt drawn to early childhood education and in 2011, I enrolled in the course,” Mrs Payne said. 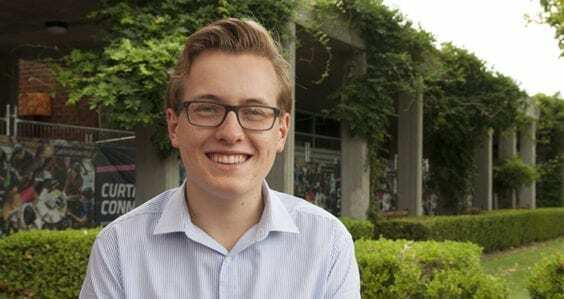 “Being able to complete my degree online, part-time over seven years meant I had the opportunity to gain a wealth of experience working in the education industry alongside gaining the theoretical knowledge through Curtin’s program. The event was held at Curtin University’s Bentley campus.